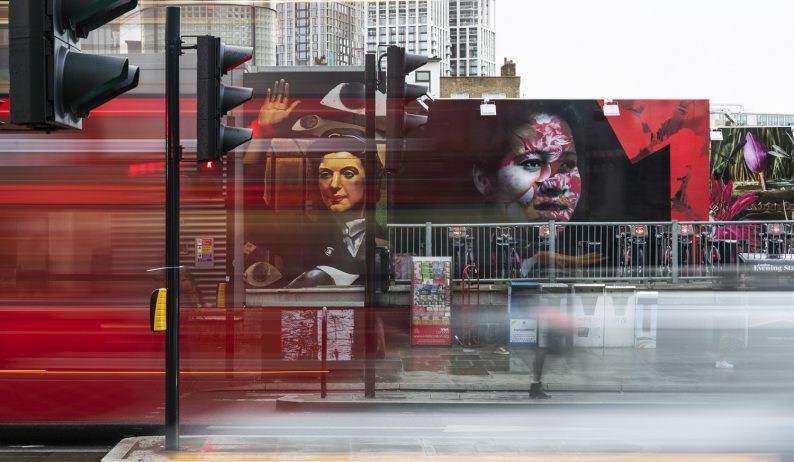 Art on the Underground present a major public commission by British artist Linder at Southwark station. 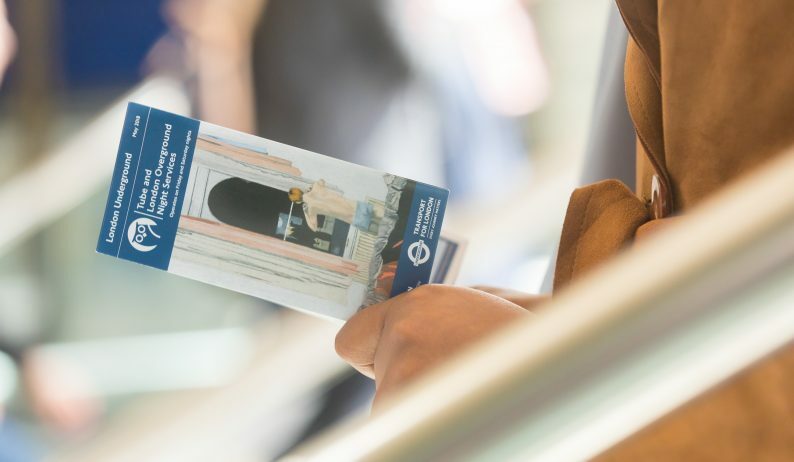 The work consists of an 85 metre long street-level billboard at Southwark station and a cover commission for the 29th edition of the pocket Tube map. 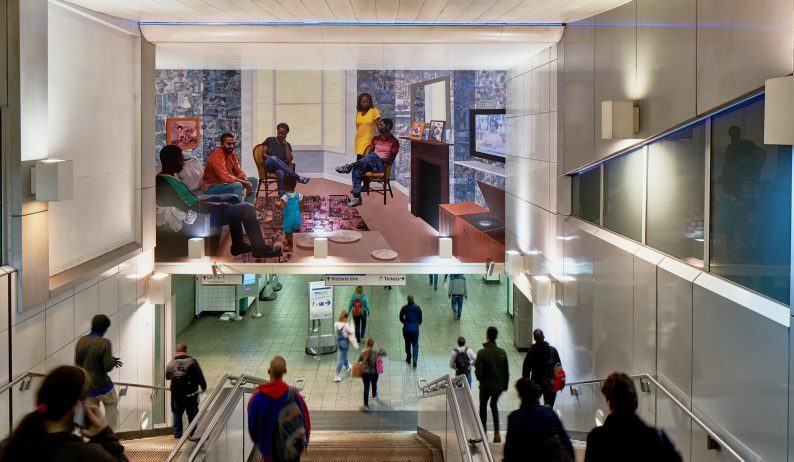 Njideka Akunyili Crosby has been invited to take on the first commission in a new programme at Brixton station. 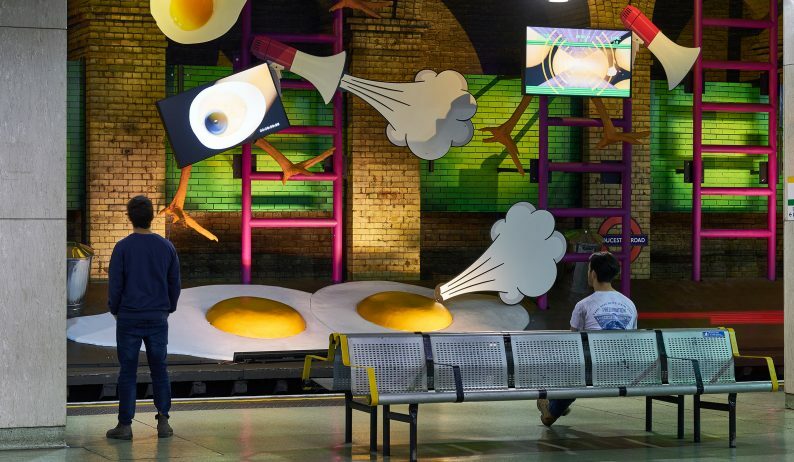 Art on the Underground present a major new commission by British artist Heather Phillipson for the disused platform at Gloucester Road Underground station. my name is lettie eggsyrub, Phillipson’s first public commission in the U.K, will fill the 80m platform at the station and be on view for one year. 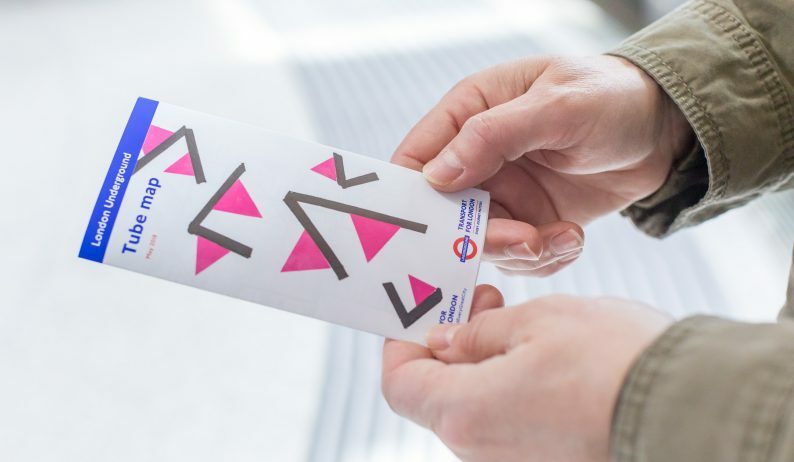 For the 28th edition of the pocket Tube map, Art on the Underground have commissioned Romanian artist Geta Brătescu to create a new artwork – marking the nonagenarian artist’s first public commission in the UK. 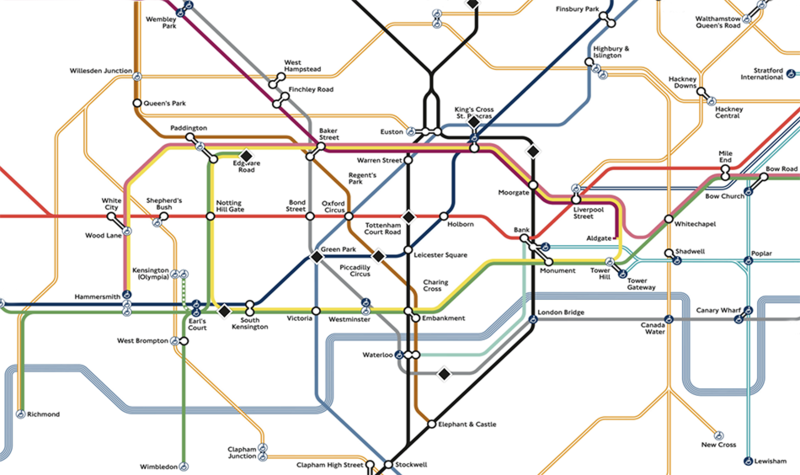 For the 4th edition of the Night Tube map, Marie Jacotey presents You in my bedroom. A staged voyeuristic image of a young man looking through his bedroom window at night, in which the male gaze is turned on its head. Use our interactive map to discover where on the network you can find our current and permanent projects. Visiting information can be found on individual project pages.